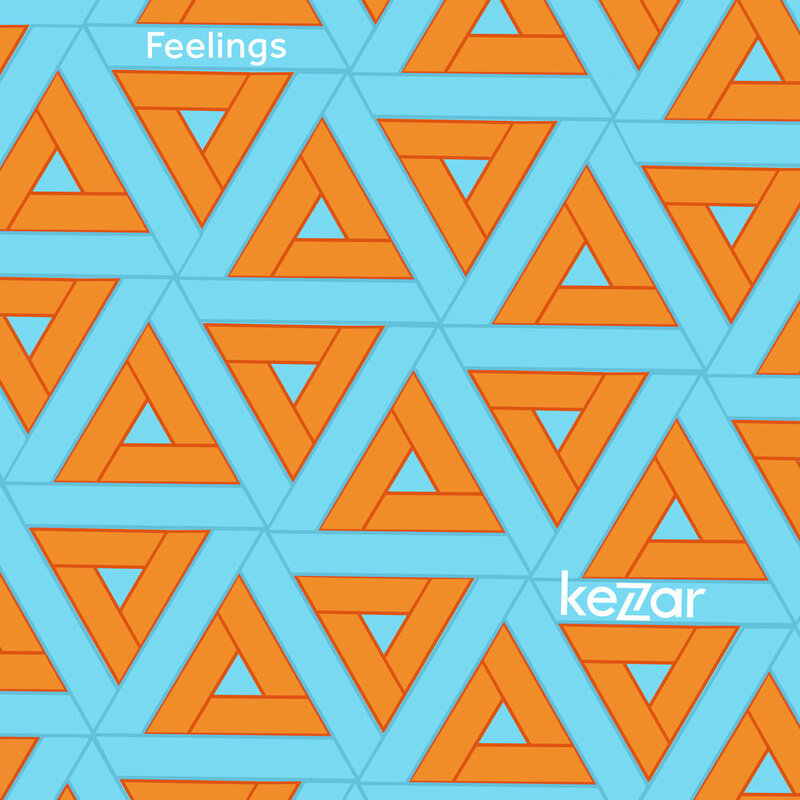 Indie pop band Kezar has released their groove-laden third single “Feelings” out everywhere today. “Feelings" was the first song penned for the project. It will always be a milestone for frontman Jack Mosbacher’s life who said "in a few days, we found a new sound, a new attitude and a new chapter in our lives. It’s a song about a woman who is totally in control, from a man’s perspective - she is confident and fearless. As my mother’s son and sister’s brother, I hope that the song is entertaining and fun but also an anthem for empowerment and the unmatchable strength of women." Previously, they released their incredible debut “(Tell Me) It’s Not Love” followed by “Let’s Talk About You.” Working with producer K-Kov on both tracks (Keith Urban, Justin Timberlake), they managed to create two highly danceable earworms packed with joy and romance. The video for their debut (that has now amassed over 110,000 views), was inspired by the beautiful aesthetic of the classic tale Pride & Prejudice. The track was also added to Spotify’s official Love Pop and Young & Free playlists. Seasoned musician Jack Mosbacher is the mastermind behind Kezar. He comes from a strong soul background and the more you listen to each cleverly crafted beat, the more you recognize it as the backbone of his newfound signature pop style. Mosbacher also has a deep admiration and respect for the artists that came before him. Using state-of-the-art synthesizer technology, he and the producers added throwback elements from hip-hop’s glory days, like the big 808 drum machines on Run-DMC and NWA records and stacked backing vocals and bass synths reminiscent of the 2000’s Hyphy Movement – homages to Mac Dre, Mistah F.A.B., Keak da Sneak, and Traxamillion. When choosing a name for this project, Mosbacher wanted to stay true to his hometown of San Francisco by naming it after Kezar Stadium in the Haight-Ashbury district. Choosing the original home of the 49ers and a now music venue that played host to music legends such as Led Zeppelin, Santana and The Grateful Dead, seemed like the perfect segway into a new era of his career while staying true to his roots. While soul will always stay the backbone of Kezar’s music, he also draws inspiration from contemporary pop artists like Shawn Mendes, Bruno Mars and Sam Smith. Southern California’s torchbearers of alt. rock positivity, The Mowgli’s have released their new EP American Feelings. The first three singles “Hard to Love,” “Mr. Telephone” and “Norman Rockwell” that have been released have received incredible feedback from fans and critics alike, and have garnered over 600K streams. From their beginning as a music collective in Venice Beach, California, The Mowgli’s have been writing songs of love, unity, and togetherness. Their break out hit “San Francisco” brought them national attention and cemented the band as indie-rockers with purpose and a message. Two subsequent albums and an independent EP have captured an ever-growing fanbase drawn to their feel-good anthems. As they’ve grown, the group has balanced their positive music with songs that give a window into the trials of a working band: Juggling relationships, friendships and adulthood with the rigors of constant touring. With American Feelings, The Mowgli’s have, perhaps surprisingly, found greater bonds than ever before: If nothing else, the path is shared and those sharing it have an intimate knowledge of what the journey feels like. The theme of connection and the lack thereof in our modern world is woven throughout the four songs that make up American Feelings. They all touch on the lack of discourse and engagement prevalent in society today, especially with technology serving as both a facilitator and barrier. “Mr. Telephone” serves up social commentary on our relationships with devices, over a subtly hypnotic, yet infectious melody. “Norman Rockwell” sees the band take a more maudlin melodic turn with the song's protagonist painting himself into a new world in his mind to escape the monotony of his current life. “Hard to Love,” the very first single from the EP, confronts the complicated idea of self-acceptance, over the bands signature sweeping melodies. Rounding out the EP is “Talk About It,” a bouncing track about forgiveness and communicating through difficult situations. The Mowgli’s - who began as a 10+ member group playing house parties and warehouse gatherings - is now comprised of singer/guitarists Colin Dieden & Josh Hogan, singer Katie Jayne Earl, drummer Andy Warren, keys player David Appelbaum and Matt Di Panni on bass. The release of their first major-label LP Waiting For The Dawn in 2013 saw immediate success with the hit single “San Francisco” and the band quickly found themselves playing to sold out crowds in clubs around the U.S. and inundated by requests for press, sponsorships and partnerships. The band’s music has accumulated 250 Million streams and counting, and they’ve graced the stages of major festivals such as Lollapalooza, Bonnaroo, ACL, Firefly, Osheaga, Arroyo Seco, BottleRock, Bumbershoot and more. They’ve worked with major international brands such as Spotify, Abercrombie, Levi’s, GM, Dunkin’ Donuts, VW and Verizon and continue to spread their message of positivity not only through their music but through their work with charities such as Heal The Bay, Happy Bottoms and the International Rescue Committee. The Mowgli’s will be playing songs from American Feelings on their co-headlining tour with Jukebox the Ghost this month.